We released our first solo record today. 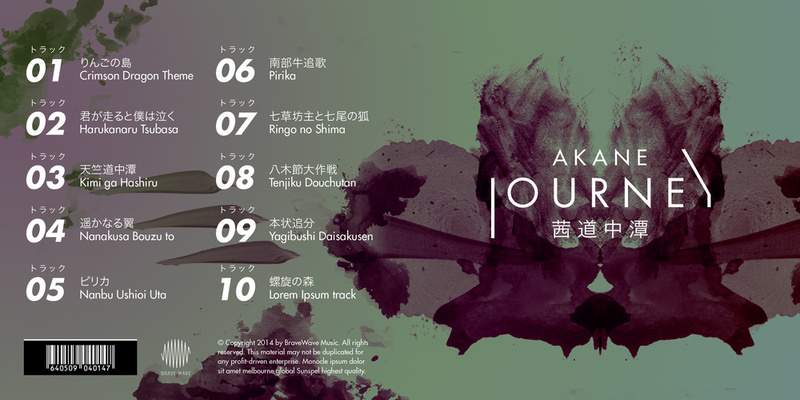 Journey by AKANE is available now on our store, and will be available shortly on iTunes, Amazon, Google, and other services. You can listen to the entire album as many times as you like before buying it — so go ahead! We had a tough deadline for producing the album, as we wanted to debut it at EGX (Eurogamer's expo in London) on September 25th, and also have it ready for AKANE's live show on September 29th. We realized later in the production that we wouldn't be able to design the album internally, and I had to find a solution pretty quick as the deadline loomed over our heads. Enter, Natalie Hanke. I came across Natalie's work when both Cory Schmitz and Paul Veer recommended her to me. I loved what she did with Distance and decided she's the right choice for the style and aesthetics of AKANE. I especially loved her emphasis on clean and minimal design, often type-based and bold. The delicate mix of orange, pink, and black throughout the physical package looks pleasing to the eye and really gorgeous. We wrapped the whole design process in less than a month, which is a great achievement, and a testament to Natalie's craftsmanship under such tension and pressure. Having to communicate in Japanese to the AKANE ladies and then bringing that back to Natalie (and vice versa), I'm surprised at how fast we were able to finish the project. I decided it would be better to differentiate between the physical and digital editions, thus giving a crimson/orange finish to the digital version and leaving the physical package with its unique pink outlook. I'm proud of Brave Wave's first solo record, and I hope you'll end up enjoying it more after this brief talk about its design and designer. Head over to the store, play the album, and enjoy this unique neo-folklore sound from the heart of Tokyo. 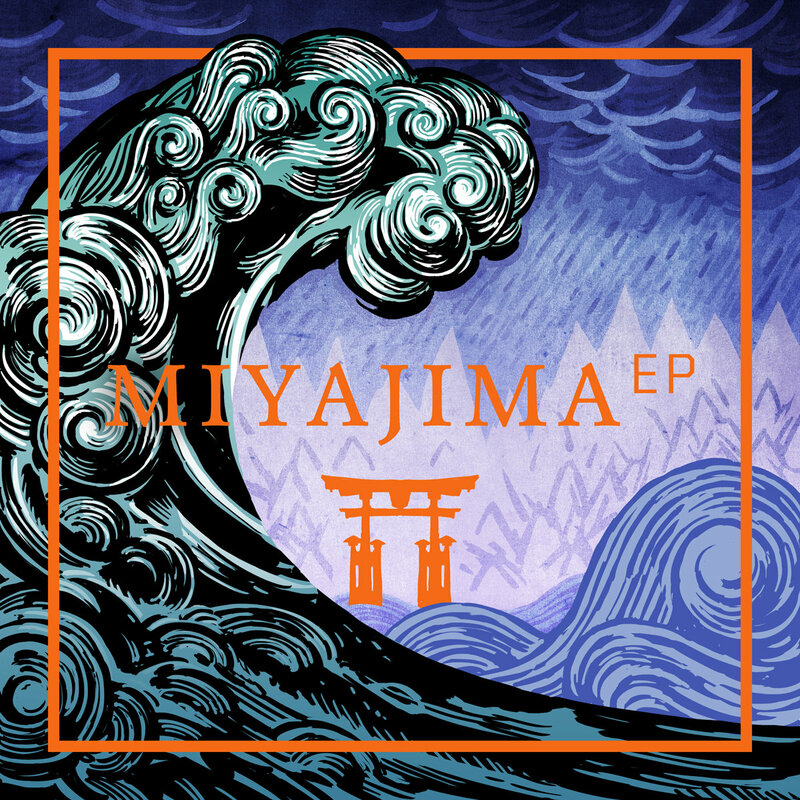 We released our new EP 'Miyajima' a few days ago. We allow our listeners to listen to any album in full, free of charge, because you deserve it. So go ahead and listen to the whole album, and if you like it, consider buying it. The artwork above is created by David Hellman, whom you might recognize his style from the video game Braid. I've been working with David on a number of things for a year now, but Miyajima's art happened to be the first one we released publicly. So, how did it happen? After making our first t-shirt, I wanted to make something that's drastically different — an illustration, a playful drawing, something like that. David experimented briefly with some ideas (as seen above) but I got busy with my Japan trip and decided to postpone the idea for later. 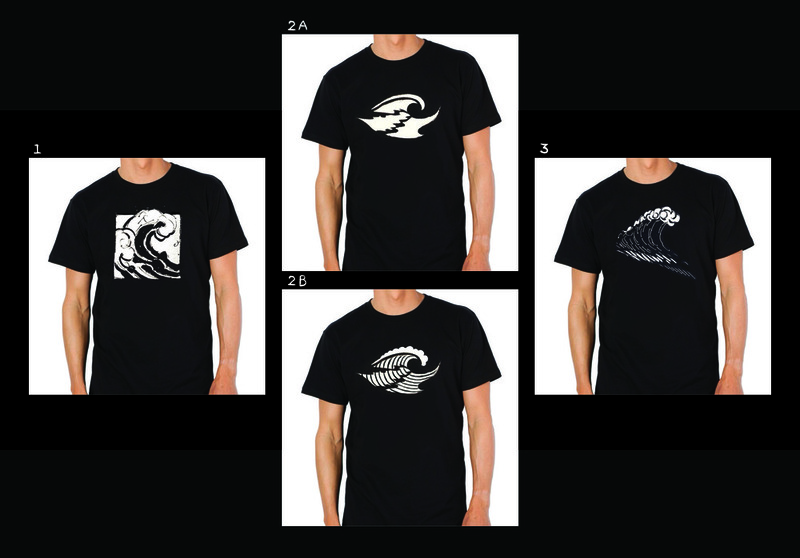 However, I loved the wave sketch on the left; I didn't quite know what I want to do with it but I absolutely loved it. So, a few months later, I told David about our new EP. I thought it would be the perfect idea to reuse that wave sketch again, maybe expand upon it? David sent me the above mockup and I simply loved it. the process was smooth and he blazed through the whole thing in a week, just in time for our April 20th release date. I also created an alternate album art used for iTunes, so pick whichever you like for your iTunes library. Our next update will be from Panzer Dragoon's Saori Kobayashi!